Church resignations are a long-term trend in Finland, with peaks caused by Päivi Räsänen’s recent comments a small fluctuation in the overall movement away from Finland’s established religion, according to one professor of comparative religion. Lack of enthusiasm for the church is shown by low turnout figures in church elections. 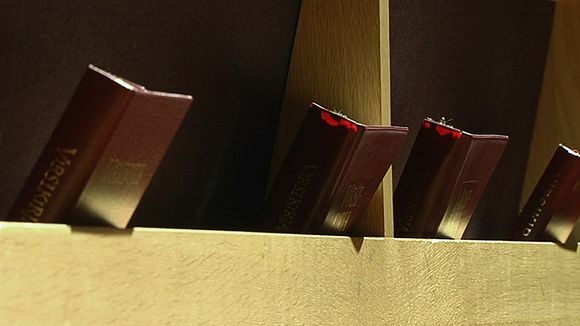 Last week 3,500 people resigned from the church in just two days via the eroakirkosta.fi website. The spike came after Interior Minister and Christian Democrat leader Päivi Räsänen made controversial comments about abortion, and suggested that people should break the law in certain circumstances if it conflicted with their Christian religion. The resignations are down to wider societal changes, according to Helsinki University professor of comparative religion René Gothóni. ”People’s commitment to the church is generally weaker, and religion does not have such a great significance in everyday life any more,” said Góthóni, who attributes the phenomenon to urbanisation and individualism. Góthóni points to turnout figures for church elections as evidence of the disengagement. The average turnout is 17 percent, with the highest for the whole country just 22 percent. Even the reform-minded candidates do not seem to affect turnout rates that much. The turnout among 16-18-year-olds was just 14.5 percent. Bishop of Helsinki Irja Askola has said that the church should look itself in the mirror and ask why its message does not make christianity more enticing. If their communication does not succeed, then the Christian Democrat party’s viewpoint becomes so dominant that people leave the church. At the same time as church membership is declining, different revival movements are enjoying increased popularity. For example in Oulu the Laestadian movement became the biggest group in the last church elections. Turnout in church elections is also highest where the revival movements are strongest. Góthóni predicts that the current economic crisis could bring more people to religion.